Consultant and author of over 150 articles and six books on home telehealth. Audrey Kinsella, MA, MS, is a medical research librarian and author who has written widely on home telehealth since 1995, with more than 150 published articles and 6 books to her credit. She also holds an Executive Certificate in Home Modification and Planning for the aged and disabled, received from the Andrus Gerontology Center at University of Southern California. 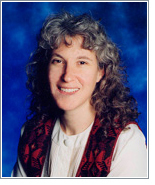 In 1995 Ms. Kinsella designed the home health, business, and other databases for the National Library of Medicine-sponsored Web site, the Telemedicine Information Exchange; and for 3 years in the late 1990s, she was director of information services for 10 home telehealth programs at the National Rehabilitation Hospital in Washington, DC. She writes and consults widely on home and hospice telehealth with a focus on equipment selection, safety issues, and long-term program planning needs. She has been the research director and lead writer for Information For Tomorrow home telehealth planning services since 1995.